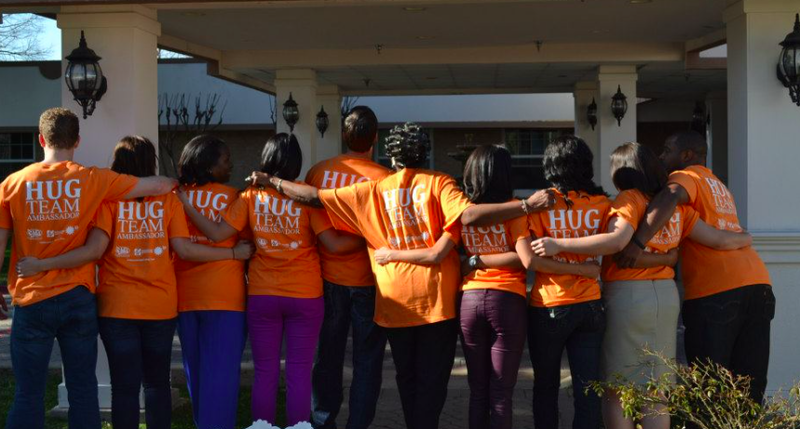 Project Hug is a social initative designed to engage the Dallas community in community service. 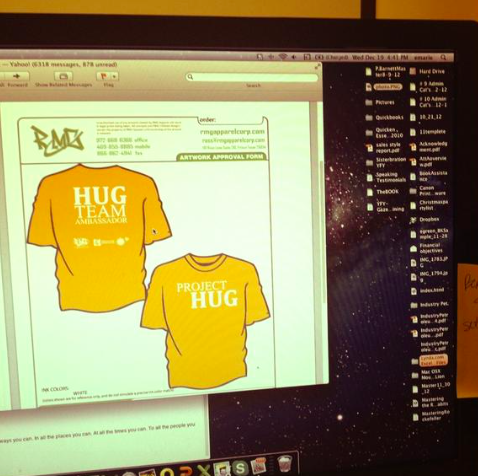 Project Hug is an annual ‘social good project’ designed to engage the Dallas community in a positive way. 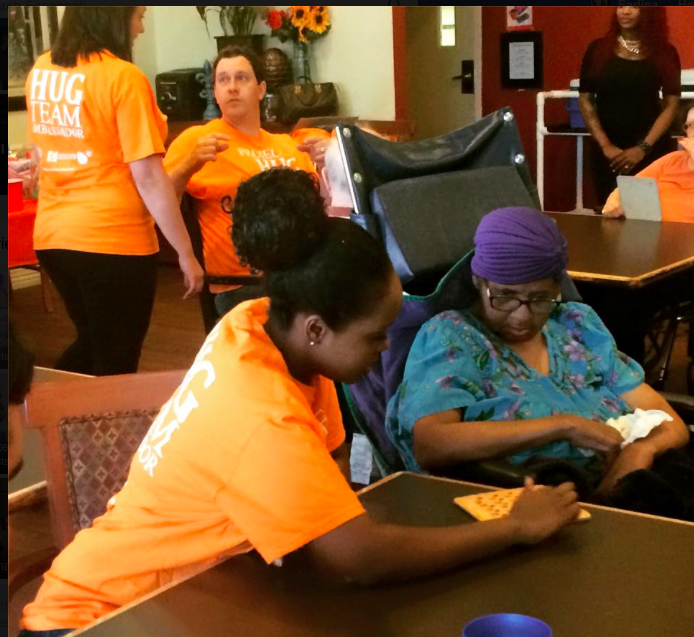 In partnership with The Senior Source, Hug Team Ambassadors accomplish this by serving our most underserved population, our senior citizens. Since 2012, Project Hug Ambassadors have been instrumental in bringing smiles and hugs to the faces of many Seniors at the Highlands of Dallas on Valentine's Day. A HUGE thank you to our sponsor RMG Apparel! Thank you for continually allowing us to serve the community. 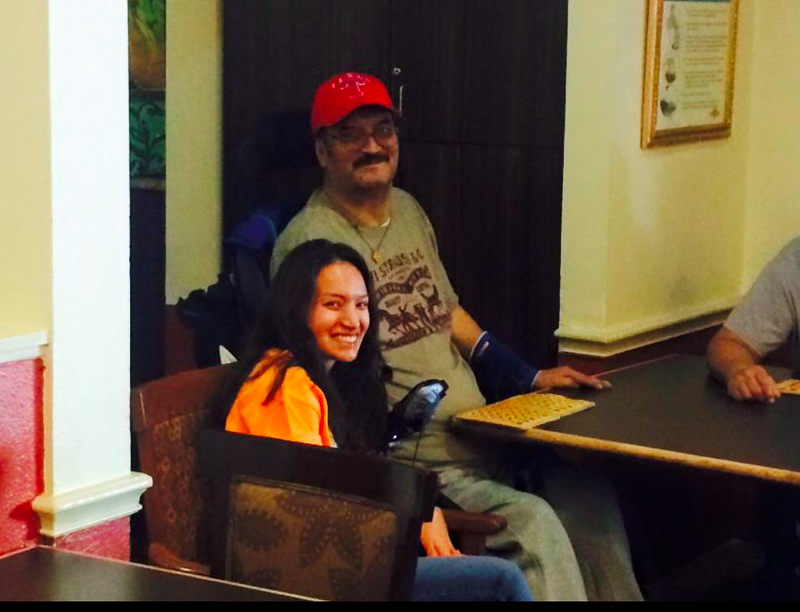 Sit with residents as they play a few games of bingo, helping when needed. Hand out cookies and punch throughout the game. Encourage, smile, and participate in the jovial atmosphere of the day. Project Hug 2019 is on February 14. Join us! Maybe, please send more information. *Your donations go towards the purchase of cookies, punch, and bingo prizes.